ISO 45001 formerly known as OHSAS 18001 (Occupational Health and Safety Management) has been revisioned in 2018 and is one of the leading international standards for safety in the workplace. We carry out an inspection of your facility and will work closely with your own staff on the development of a management system with streamlined documentation and for the best possible safety measures for your employees and visitors for the certification process. An integration of work safety into your ISO 9001/ 14001 management system can be implemented quickly, easily and with particular focus on practicability. Where required, we will also take on the entire coordination process with a relevantly accredited certification authority for you. 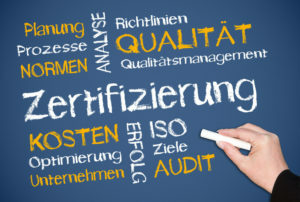 With the support of our expert consultants with many years of relevant experience, we can guarantee a successful ISO 45001 certification and/or the accreditation of your integrated management system.